Polish MEP Michal Tomasz Kaminski has called on EU's Ashton to step up Europe’s efforts to designate Hizbullah a terrorist organization. Polish MEP Michal Tomasz Kaminski on Thursday called on EU foreign policy chief Catherine Ashton to step up Europe’s efforts to designate Hizbullah a terrorist organization after last week’s Bulgarian’s report that the Lebanese group was behind the terror attack on Israeli tourists in Burgas in July 2012. Ashton’s spokesman further conceded that outlawing the group, which the EU has long remained resistant to doing despite Israel and the U.S. having long ago designated it a terrorist group, was merely one of “several options” the EU had to consider. 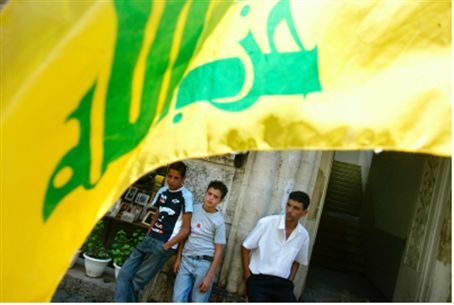 Calling for further clarification on the other available options at its disposal, Kaminski, who is a member of the Conservative group in the EU parliament, contended that “our failure to properly define Hizbullah allows the terrorist group to operate in Europe and use our member states as bases for money-laundering and fundraising”. Bulgaria's announcement last week that Hizbullah was being the attack in Burgas last July, in which five Israelis were murdered, led to renewed calls from Washington and Israel on the 27-nation European Union to designate the group a "terrorist" organization. U.S. Secretary of State John Kerry urged the EU to follow Washington's lead by designating Hizbullah as terrorists in a move that will notably lead to a crackdown on its fund-raising activities. Shortly after the Burgas bombing, the EU decided not to list Hizbullah as a terrorist group. Cypriot Foreign Minister Gujarat Cossack-Marcolis said at the time that "there is no consensus on the issue, because Hizbullah also has an active political arm." She added that the matter is open for reconsideration if "tangible evidence" that Hizbullah is involved in terrorist activity can be brought. Kaminski has by no means been the sole European parliamentary critic of the EU’s reticence to definitely act on the Hizbullah threat, EJP reported. German Christian Democrat and parliamentary foreign affairs committee chairman Elmar Brok was quoted in the German daily Hamburger Abdendblatt as saying that the group “belongs on the EU terror list,” the report said. Israel’s ambassador to the United Nations, Ron Prosor, hit out at the EU on Tuesday for its failure to add Hizbullah to its list of terror organizations. “The Burgas terrorist attack demonstrated once again that the organization's activities are not limited to the Middle East and that its fingerprints can be found on five continents - from Kenya to Argentina, Thailand, India, Europe and the United States. The thesis that Hizbullah has a military arm and a political arm which operate independently of one another - has collapsed,” he said.